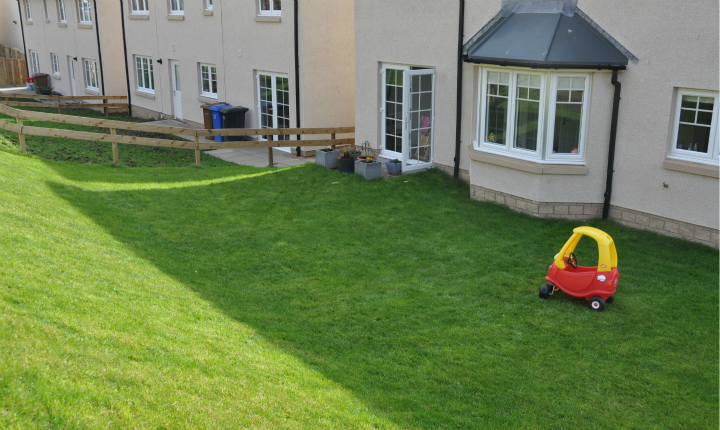 This project took us to the beautiful town of Burntisland in Fife and involved a total re-design of the rear garden. 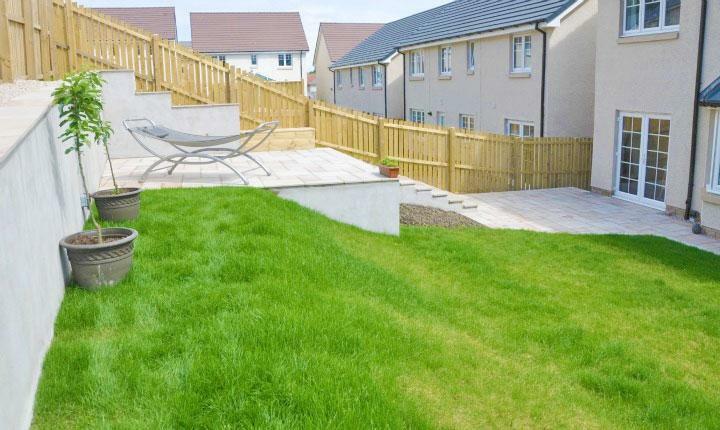 Building extensive retaining rendered walls along with the creation of a level raised patio area, providing the perfect place to sit and relax. To construct steps to lead from the new raised patio area down towards the French doors. 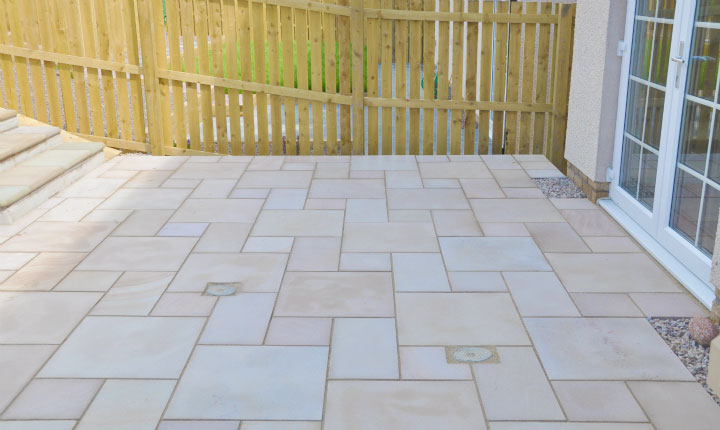 A new patio area was to be created at the entrance to the French doors, to provide an ideal seating area for entertaining family and friends. 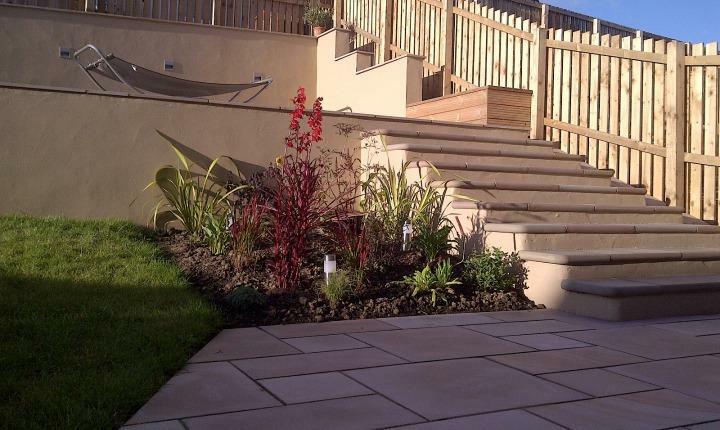 To create a border area to provide a colourful contrast to the step and patio area. 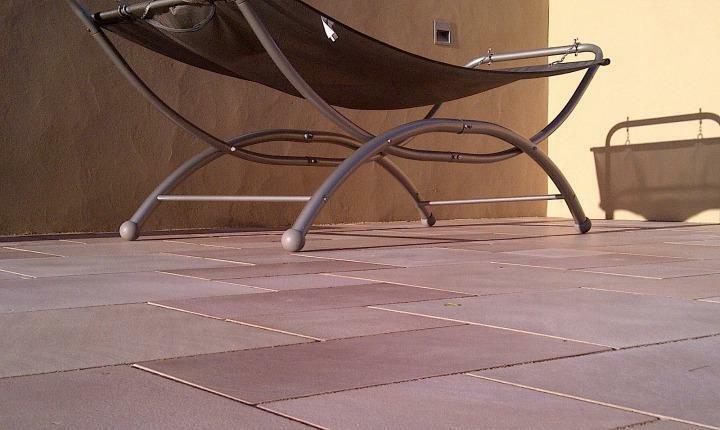 Sawn sandstone paving was chosen in Autumn bronze, providing a beautiful smooth finish, presenting both good looks and practicality. 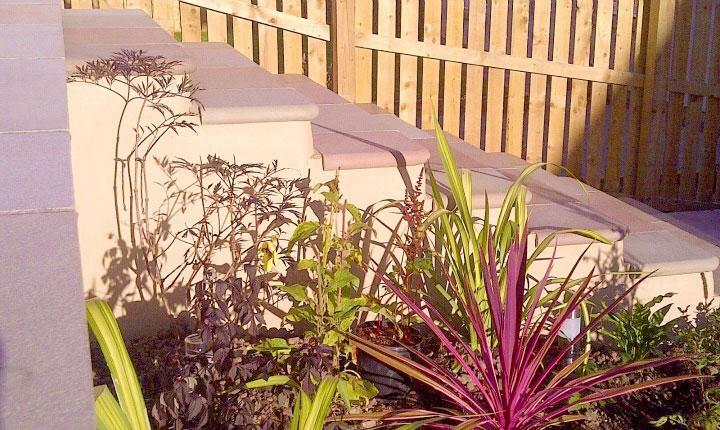 The project brings shape and texture to the garden also providing some well needed seating areas, making the garden space much more user friendly. Bull nosed steps provided curves and softness. Tasteful lighting added the finishing touches to the project. 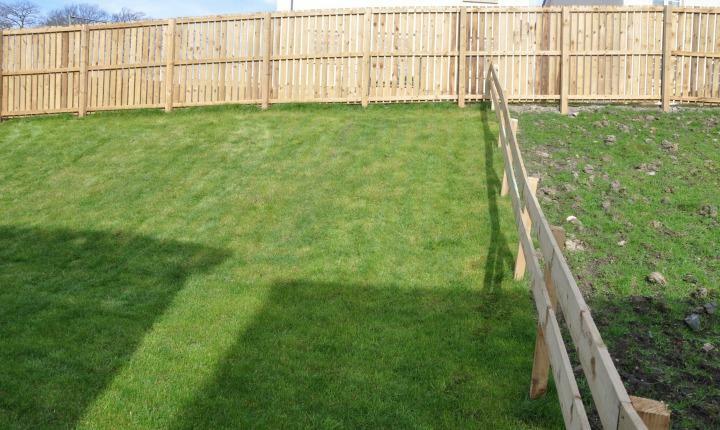 A new fence was erected, smartening up the boundary and providing some privacy. 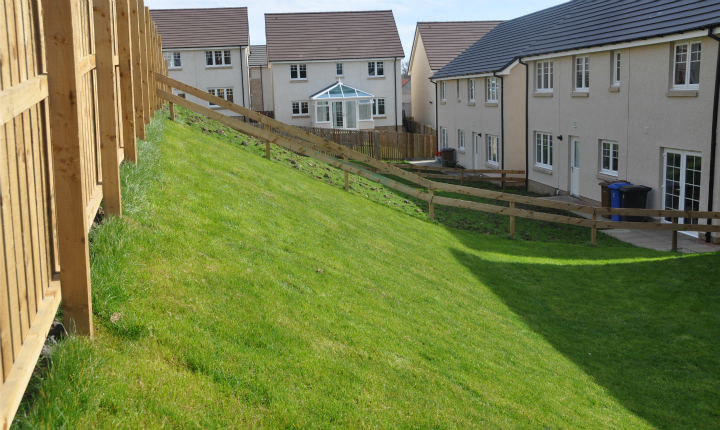 The completed garden project illustrated how to make real use of a sloping garden and provide an outdoor space for all the family to enjoy. The mix of smooth rendered walls with the soft sawn sandstone paving is a lovely mix and worked well with the modern family home.